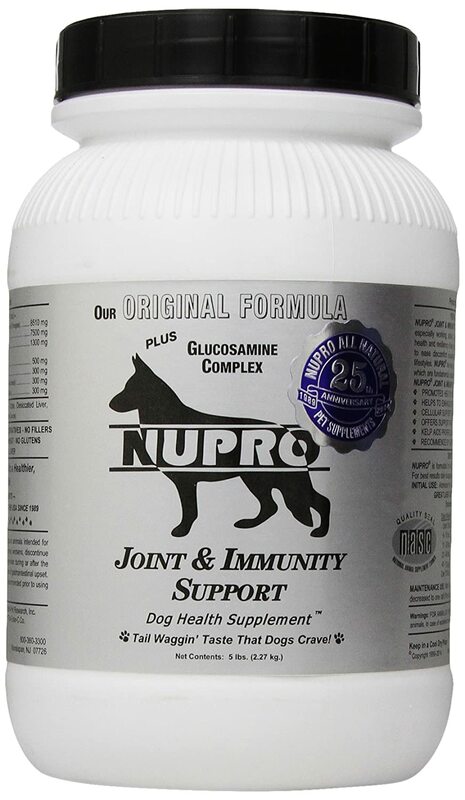 All natural dog supplement has glucosamine complex msm and ester-c which enriches the original formula that is high in vitamins, minerals, enzymes, amino acids and essential fatty acids along with the extra ingredients to help possible joint problems. beneficial for working athletic and senior dogs which may tend to have stiff and/or sore joints. provides 16 vitamins 15 minerals 23 amino acids 9 enzymes and 4 essential fatty acids. also contains norwegian kelp ground flaxseed imported nutritional yeast culture desiccated liver bee pollen garlic steamed bone meal lecithin and lactobacillus acidophilus.